Memorial Day kicks off my favorite season - summer! Woo hoo! Husband and I have an even better reason to celebrate this year. Good friends will visit us from Germany that weekend. 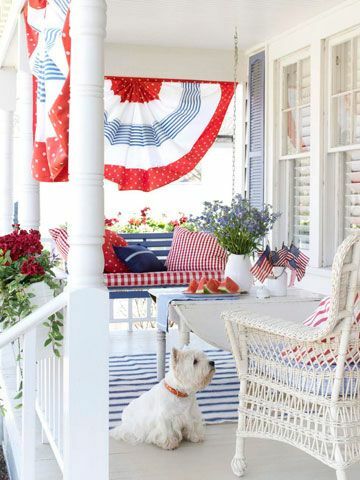 What better way to welcome our friends to the United States and celebrate Memorial Day (and pre decorate for the Fourth of July) than with patriotic red, white, and blue decor! I like to hang banners and garlands on my porch rails. 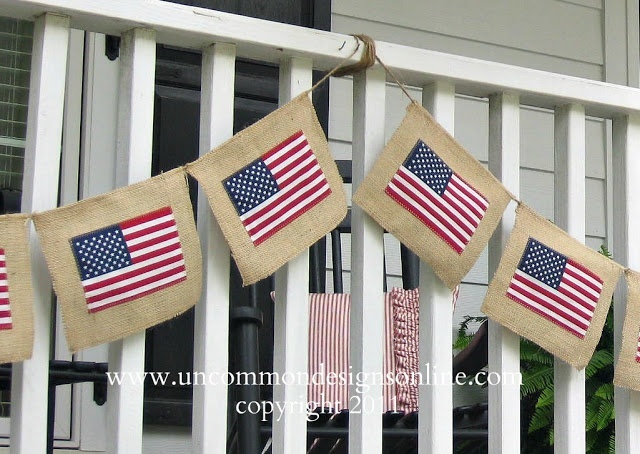 I like the texture of Uncommon Designs burlap flag banner and how it will work in a variety of decorating styles. 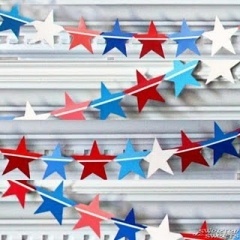 I also like the stripe detail on Sweeter than Sweets star garland. Can you believe she made it out of paint chips? 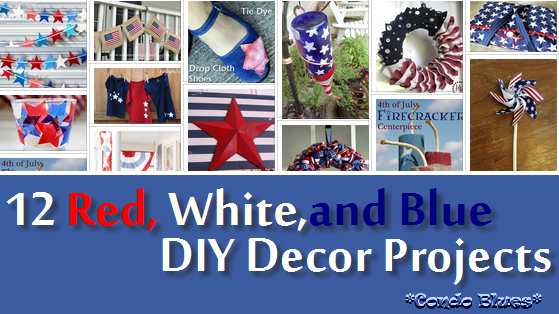 I'm tucking Better Homes and Gardens red, white, and blue bunting into the Idea Center of my mind (AKA Lisa's Kooky Idea Center if you listen to how Husband describes it which you probably shouldn't because Condo Blues is not his blog. It is mine.) Every summer when I finally remember to buy porch bunting it is too close to the Fourth of July and the stores are sold out. 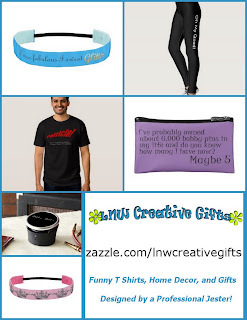 Their project is an incentive to use some of the fabric in my stash to make it. 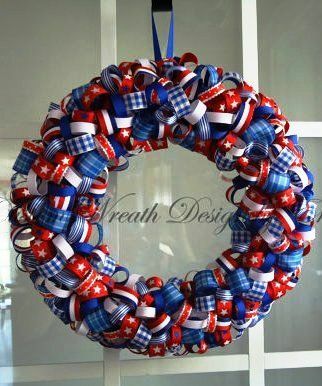 While I'm at it, the front door could use some Memorial Day decor too. 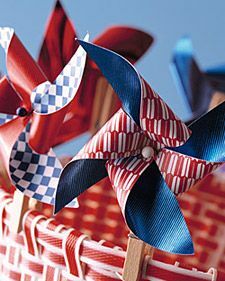 I think this red, white, and blue ribbon wreath is playful and fun. Husband says it is just like me - loopy. the source please let me know so I can give credit where credit is due. 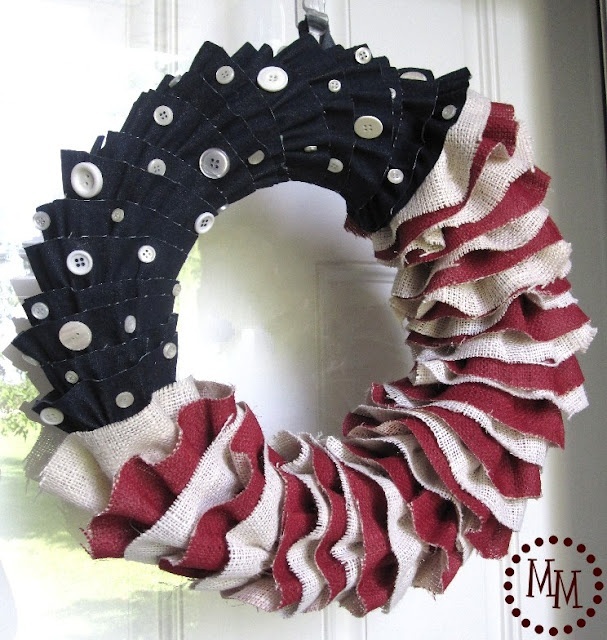 Michele of The Scrap Shop created a burlap and denim flag wreath that would coordinate nicely the with burlap flag garland. 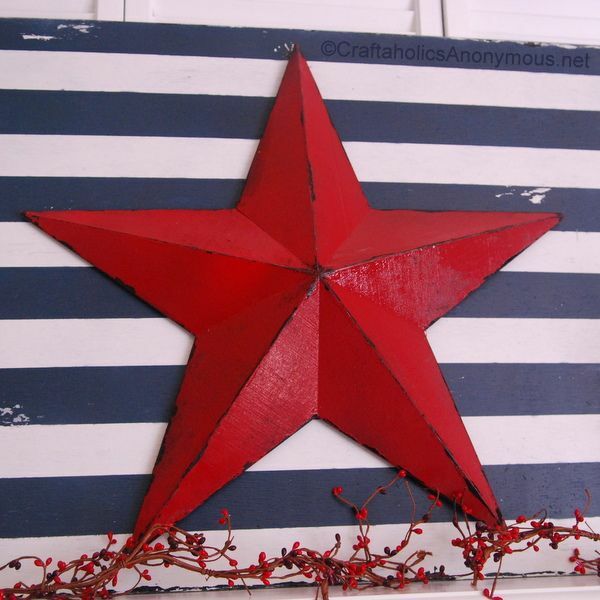 Instead of a traditional door wreath, hanging Craftaholics Anonymous' star and stripes sign on the front door would look fine too. Hey, I rhymed! My porch tables could use a few patriotic decorations too. I can easily make Chicken Scratch NY's firecrackers from scrap wood (what is with me and the burlap today?) I also like that they are reusable fireworks because they are the non-explody kind. 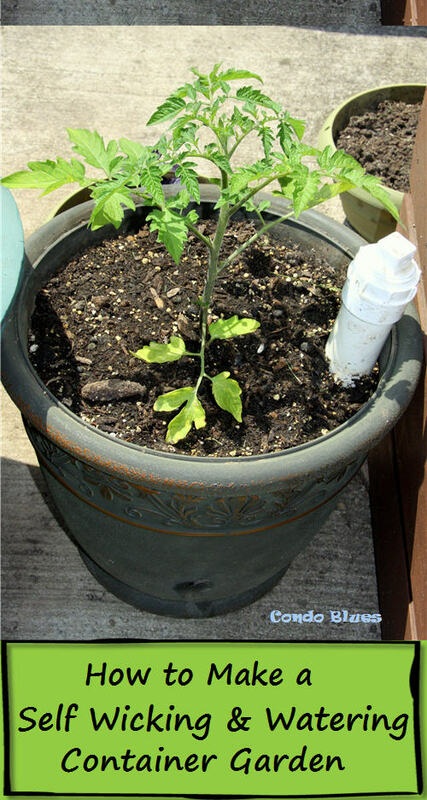 I can't leave out the garden when it comes to decorating. 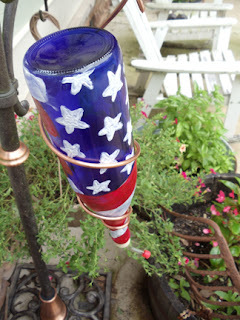 Artsy Va Va's recycled bottle humming bird feeder is for the birds! 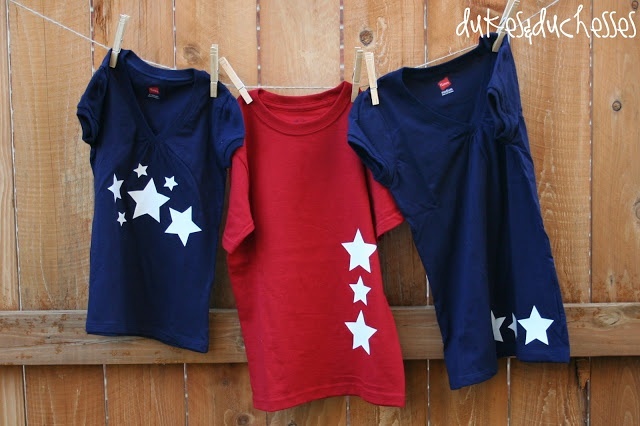 Dukes and Duchesses DIY star t shirts. The stars glow in the dark! 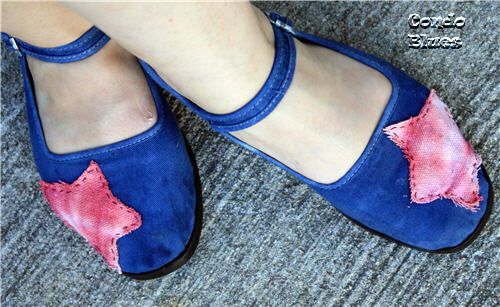 ...to bottom with my tie dye drop cloth shoes. 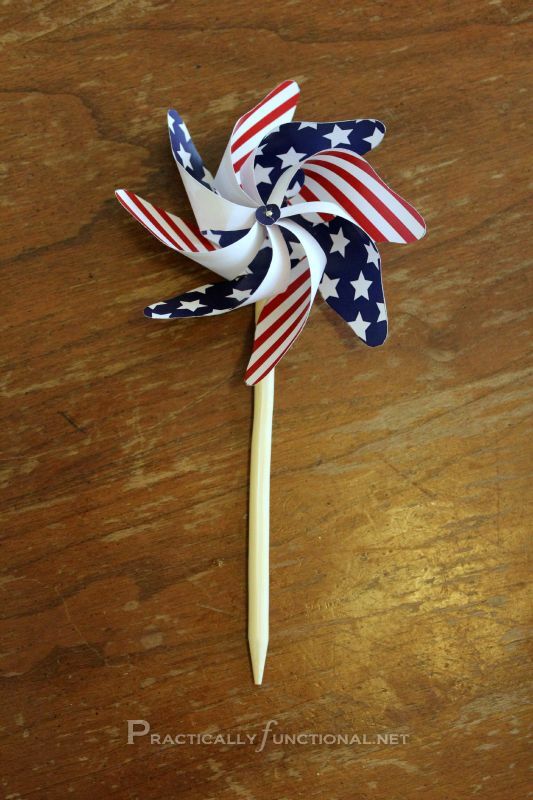 How do you decorate for the summer holidays?